They say, "It takes a village to raise a child." And it took a village to create this diaper, too! With the help of over 100 families, we have tested, re-tested, refined and perfected Tidy Tots Diapers. Most importantly, these diapers were designed to use an organic disposable liner, called Flushies, that snaps and locks into place. That means you simply flush away the mess. 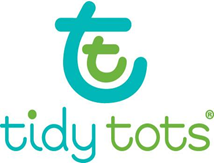 Tidy Tots is the next generation of diapering that bridges the gap between disposables and cloth. Good for your baby with the convenience of disposables. Our 100’s of patented features work together to ensure our diapers are easy, saves you lots of time & money; while delivering unsurpassed performance. I believe it's the most natural and most effective way to diaper our little ones while enabling a healthier environment for their future. It's been my pleasure to work with so many wonderful parents and their adorable little babies as I developed Tidy Tots.